Flexible seasonal pricing for this updated state of the art, family friendly four bedroom home away from home. Four flat screens; Brand new stainless kitchen with granite and striking backsplash, provides you with all the comforts of home. One or two Families or eight golfers can easily share the cost of this spacious recently updated Villa. 60" Plasma HD TV in Living Room, flta screens in all bedrooms, updated Kitchen, and four new bathrooms. Every guest of any age is guaranteed to have a great time. 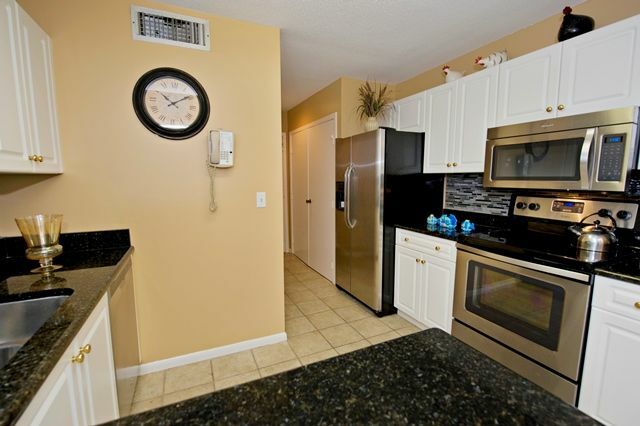 If you are looking for a clean, bright unit in the "Heart of Harbour Town" look no further! Heritage Villas are nestled along the first fairway and green of Harbour Town Golf Links that is home each Spring to the PGA's, Verizon Heritage Classic Golf Tournament. This villa complex has beautiful lagoons with fountains and a large shared swimming pool. Included are two hours per day of FREE tennis at the famed Stan Smith Sea Pines Racquet Club. Just a short walk and enjoy tennis on one of the 23 clay courts where the likes of Evert, Graf, Navratilova and others have played. Also included at no additional cost access to new fitness center just a five minute walk. There are other activities within walking distance! Steps away is the Harbour Town Yacht Basin that is home to fine restaurants, boutiques, jewelry stores, art galleries, gift and craft shops, and, of course, beach and tee-shirt shops. Most evenings enjoy free live entertainment in the yacht basin under the Liberty Oak. Climb the 93 foot tall Harbour Town Light House and enjoy the view of the Calibouge Sound, Daufuskie Island and Hilton Head. If you have never been to Hilton Head, you don't know what you are missing! Both my children and brother's have grown up in this property. Worked out pretty good. Mine are married and my son is a Doctor. My brother's OLDEST son graduated the Kelly School in Indiana and his other son is a junior at Delaware. This home away from home has worked beautifully for our family vacations. We have also invited friends down to golf and donate several weeks a year to local charities at home for auction. Nothing beats a family vacation the Sea Pines Plantation in Hilton Head. Great Value Great Vacation. Check out the unsolicited reviews. Best community pool in Sea Pines. Only feet from unit. After having another rental fall through for our first "snowbird" experience, we found this appealing property on Hilton Head Island, and we could not have been happier with our choice. The owner was prompt and friendly, and promised a great experience; he was certainly correct! This Townhouse more than met our needs for our 12 week stay, including hosting a few family members who also yearned to escape New England's cold and snow. We settled in easily, and quickly learned to navigate the Sea Pines Resort. With miles of biking and walking trails, there's plenty to do! Beaches, shops and activities are all within walking distance, with Harbor Town being very close by. We gladly recommend this property and the entire Hilton Head area; so much to see and do in a very beautiful setting. Although our plan is to escape Winter each year in a different place, part of us thinks that Hilton Head may be very hard to beat! The house was lovely! We had a wonderful time! Will definitely come back! The house was very nice & spacious! The pool access was so close. We loved the island & resort areas. The resort beach was great! We had a wonderful time and will definitely be returning! Was the perfect size for our family. Great location near the golf course and pool. Great location! Short walk to Harbor Town. Setting near the golf course is beautiful! Condo is a great size for seven people. Loved it! Nicely renovated villa, great location. We had a great family vacation. Would only recommend ceiling fans be installed in bedrooms. Thanks, Fred! We have been coming to Hilton Head for 25 years. We owned timeshares until about 5 years ago. Because of kids in college and jobs, this was first time in ten years we were all able to vaca together. Our children are adults now and we keep expanding (babies, finances, etc). This condo was perfect for our family. It is very well appointed with all the essentials (could use blow dryers), we forgot ours. Loved the location near Harbour Town and all the fabulous shops and restaurants. The pool was very nice. Many times we had it to ourselves. We will definitely rent again. The owners were very accommodating and easily accessible. Thank you very much. 15 Miles of rollerblade/bike trails.